This extract from my new release had to be cut from Chapter One! It is one of three mini-stories I made up as part of my holiday house party tale. Miss Redcake nodded. “This is the story I was told. In Roman times, Clementina was trying to escape from a lover who’d become too insistent when they’d taken an after-dinner walk. She ran into a fen, to hide on a peat mound among the tall grasses and spindly willows, hoping the sounds of bird calls would hide her slow progress along the sand. It had rained a great deal, being spring, and she left footprints in the clay. But before she went deeper into the fen, she turned, fearfully, to look for her tormentor, and saw that her footsteps were being filled in by wildflowers.” Miss Redcake paused and sniffed her salts. “My goodness,” murmured Victoria. Another spurned lover tale. She’d rather hear one about a lover catching the girl and laying her down in a meadow of wildflowers. But no, Miss Redcake had a more poetic soul than she. “When Clementina turned back, she found her way blocked by a tall figure. The light was descending by then and she only had a faint impression that this was a man in a cloak or a habit. A monk perhaps? A traveler? “Good heavens,” Penelope breathed, letting the bag of peppermint candies she’d taken out of her pocket drop to her lap. “Lucky her,” Victoria said sarcastically. This entry was posted in Book info and tagged Christmas Delights, deleted scene, fairy tale, heather hiestand on November 12, 2014 by Heather. 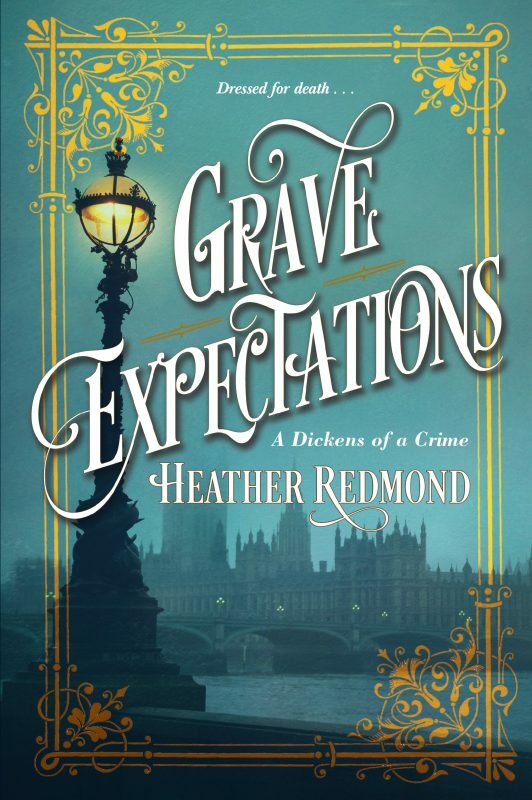 In this clever reimagining of Charles Dickens’s life, he and fiancé Kate Hogarth must solve the murder of a spinster wearing a wedding gown . . .